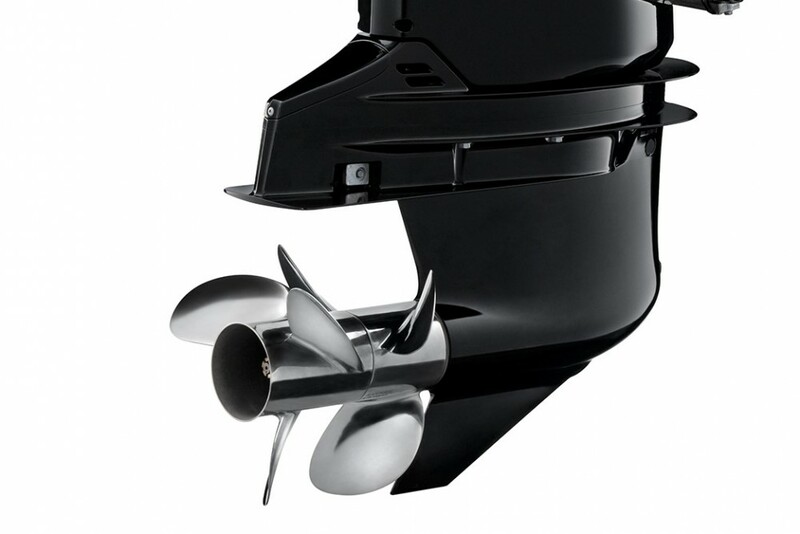 ZP Marine revealed big propulsion news at the Fort Lauderdale International Boat Show—plus new releases from Mercury Marine VesselView903 and SeaStar Auto Pilot for Optimus. Our propulsion highlight from the Fort Lauderdale International Boat Show has to be “Project Disruption,” a concept from the ZF Marine that offers contra-rotating propeller technology for conventional inboard shaftline applications. ZF says the Project Disruption concept allows shaftline boat builders to harness the benefits of contra-rotating propellers, including increased efficiency, acceleration and reverse authority. The concept changes all of the pre-established constraints of trying to optimize propeller diameter with gear ratio, according to ZF. Here's a first look at this new concept, unveiled for the first time in Fort Lauderdale. 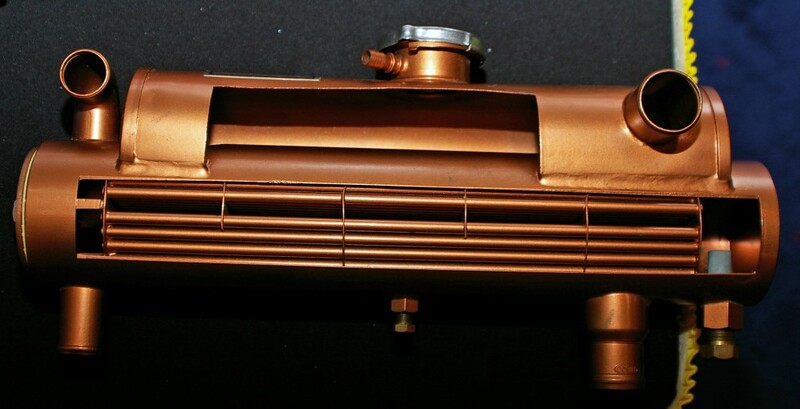 The concept, intended to interface with a standard ZF marine transmission located within the boat, is comprised of an underwater gearbox located within a large propeller strut which transmits power from a single standard drive shaft to two contra-rotating propellers. As we learned with the recent introduction of the twin-prop Suzuki DF350A outboard, contra-rotating props offer a significant increase in total blade area, as much as 80 percent in the case of the Suzuki 350. 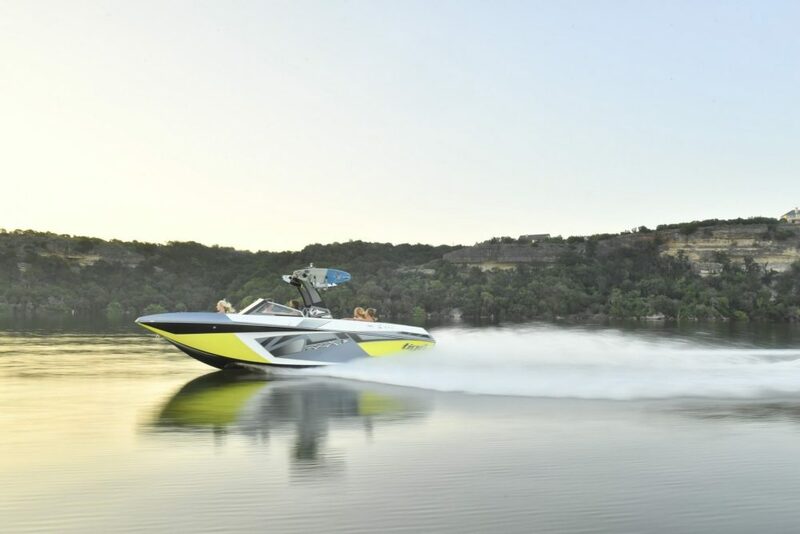 More blade area offers more “traction” in the water to better convert engine power into forward thrust, improving acceleration especially while also enhancing handling and control in reverse. With a single prop in the water, the only way to increase blade area is to increase prop diameter and utilize a prop design that maximizes blade area, options that inhibit efficiency and have obvious physical limits. 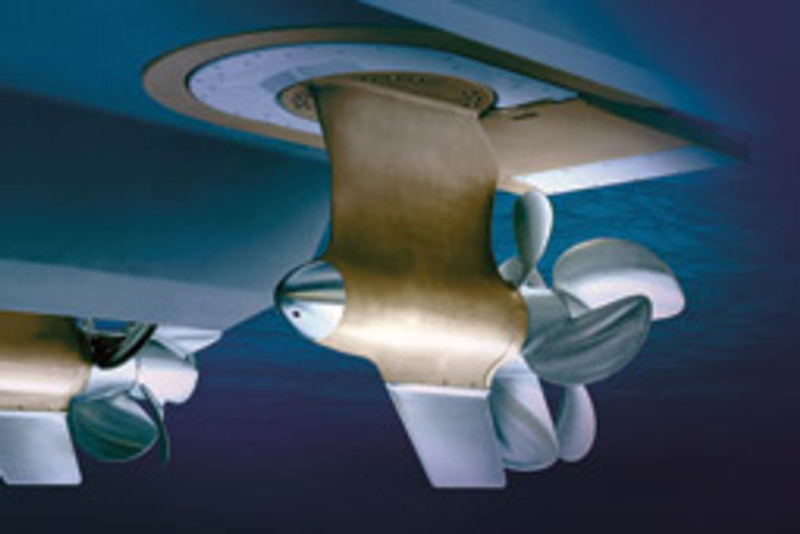 Contra-rotating props have long been a feature of Mercury MerCruiser and Volvo Penta Duoprop sterndrives. The ZF Marine Project Disruption concept places a gearbox within the propshaft strut that drives contra-rotation propellers. 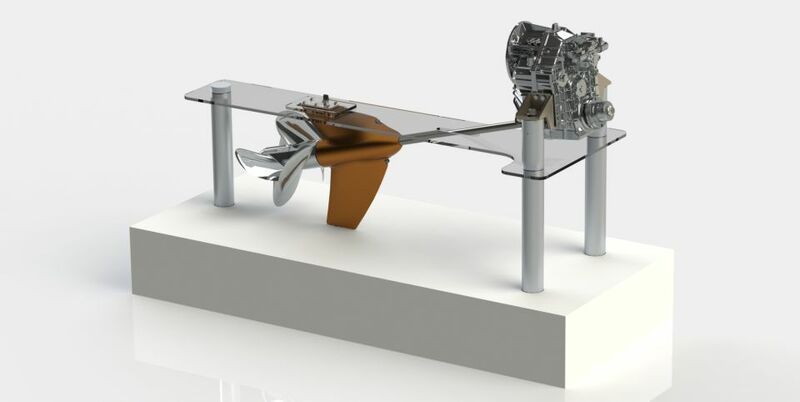 In addition to providing increased efficiency and acceleration, ZF says the Project Disruption contra-rotating propellers will let inboard boat builders consider a wider range of transmission ratios than what is possible today given propeller sizing constraints for single propeller shaftlines. 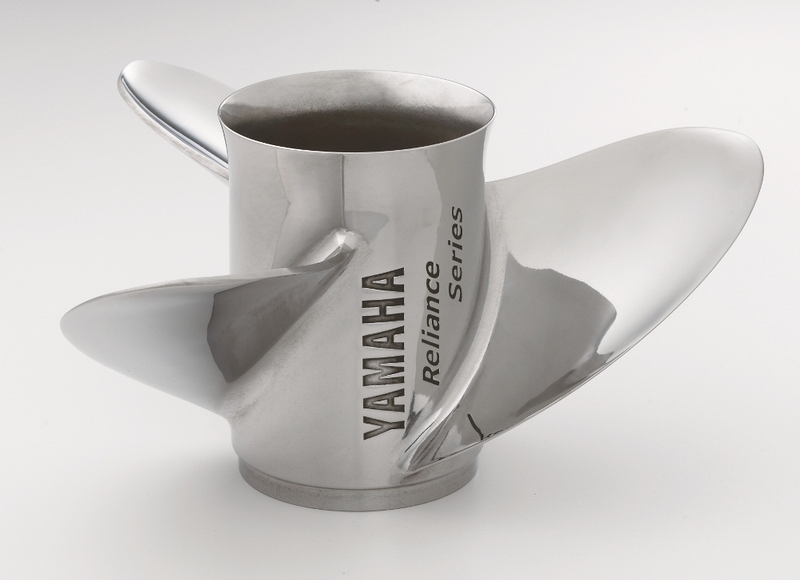 This will allow naval architects the opportunity to better optimize the propeller to gear ratio relationship depending on vessel application and loads. 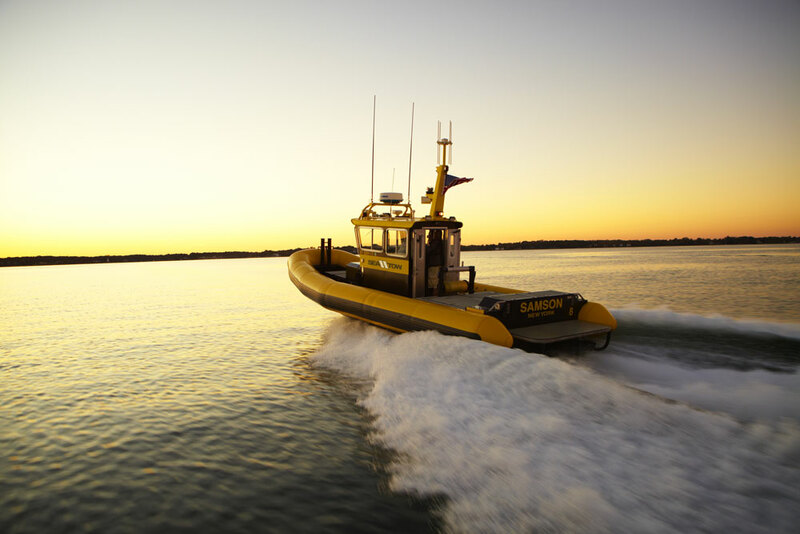 The contra-rotating propellers will also offer improved reversing performance and low speed maneuvering by eliminating the propeller torque that currently affects single-engine shaftline applications, including tow-sports inboards. 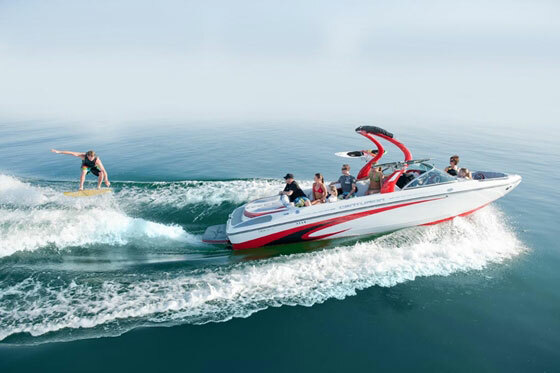 While initially sized for tow sports boats, ZF says the concept could be scalable to larger propulsion packages, or hybrid systems for a multitude of vessel applications. No word on when or if ZF might turn the Project Disruption concept into an available drive system. Mercury Marine has introduced VesselView903, the company’s largest and most advanced multifunction display. VesselView903 features a bright 16-inch by 9-inch aspect ratio, high definition glass touchscreen with glare reducing coating and dimmable lighting. Similar to the VesselView703 launched at the 2017 Miami International Boat Show, the new advanced technology incorporates all the Simrad accessories for the Go9 product line: Radar, Sonar transducers, Fish Finder transducers, AIS, VHF, Sonic Hub/Fusion Link/ SiriusXM, C-Zone/Naviop digital switching and more. VesselView903 features a 16-by-9-inch touch screen, the largest display yet from Mercury Marine. VesselView903 features a built in 10Hz GPS and chart plotter capability (regional electronic chart cards purchased separately), unique touch-only screen interface that delivers intuitive display interaction (an optional remote-control button interface is available) and auto notification of software updates through the embedded WiFi. 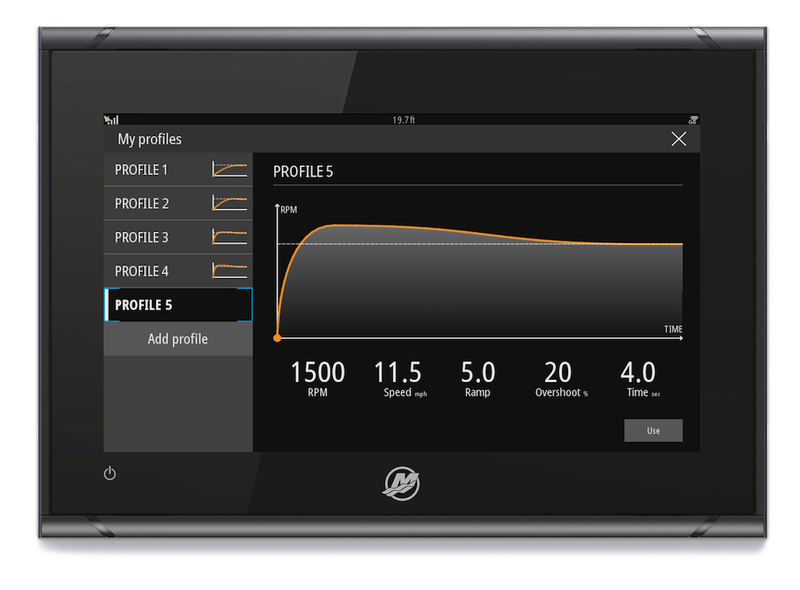 “Our next generation VesselView technology allows boaters the ability to simultaneously display information for up to four engines at a time in an easy-to-use touch-screen interface,” said Zachary Savage, Mercury Marine VesselView Program Manager. functional. In addition, VesselView903 provides a descriptive fault text display as well as up-to-date information for more than 30 engine parameters including: fuel level and range, oil temperature and pressure, battery voltage, and water depth. VesselView 903 is available now from Mercury dealers. For more information, visit Mercury Marine VesselView. SeaStar Solutions has introduced SeaWays Autopilot, a software upgrade for boats equipped with SeaStar Optimus 360 joystick control system. SeaWays works within the SeaStar Optimus 360 and SeaStation systems, and requires no additional hardware and minimal tuning, according to SeaStar. SeaWays is a software upgrade to the Optimus 360 Pump Control Module (PCM) using the CANtrak display, and utilizes the SeaStation GPS sensor. We experienced the three-mode SeaStar SeaStation GPS Anchoring System at the 2017 Miami boat show. SeaWays Autopilot utilizes the SeaStation GPS-Compass sensor and Optimus 360 components that are already installed to provide directional control based on heading, course over ground or waypoints. With the installation of new software to the Pump Control Module via the USB port in the Optimus 360 CANtrak display, SeaWays provides autopilot capabilities. No additional hardware, wiring or plumbing is necessary. The SeaWays autopilot functions can be accessed and controlled through the CANtrak display or a third party chartplotter or MFD. The SeaWays system can be set to operate in any one of three autopilot modes. The Heading Mode keeps the boat moving in the desired heading, but allows it to drift with wind or current. Track Mode holds a preset course over ground, allowing SeaWays to adjust the heading to stay on track. In Route Mode, SeaWays follows waypoints provided by third-party chartplotters to arrive at a specific destination. Because SeaWays’ Course Control Unit (CCU) software runs in the Optimus Pump Control Module, it is aware of the steering characteristics of the vessel. Consequently, it requires minimal tuning, an important distinction when compared with third-party autopilot systems. SeaStar Solutions expects to begin shipping its SeaWays Autopilot software in late Q4 2017. SeaStation and SeaWays, when available, will be included at no additional cost with the purchase of Optimus 360 for model year 2018. For more information, visit SeaStar Solutions.